We have recently been busy carrying out a Sunfast 3600 Custom Rigging Project. This is a brand new boat but we are gradually upgrading and improving the rigging systems on the boat. The constrictor clutch provides a remarkably simple solution in the rope holding arena. The textile sleeve grips the rope in a “Chinese finger trap” method, this provides incredible rope holding and also no point loading on the rope which increases the life of the rope. The mounting holes accommodate hole centres from different brands allowing easy fitting. The factory specified outhaul system was poor and lacked purchase. 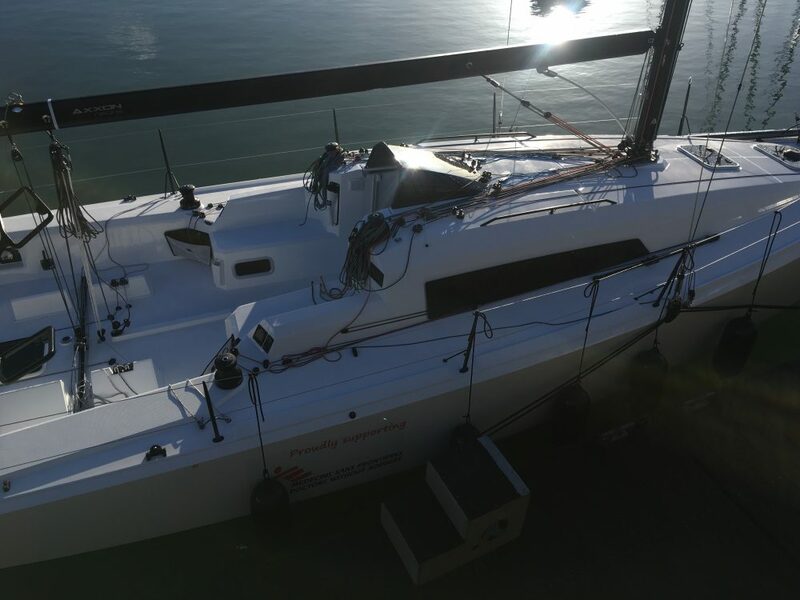 Modern 3DI carbon sails take no prisoners due to their lack of stretch, therefore its critical to have properly specified rope systems , especially for static loads like the outhaul. We specified this 12:1 cascade purchase system with high quality GP12 HMPE rope with new harken blocks. We chose 2 cascades and a small 3:1 purchase for minimal friction, this is great for outhaul adjustments in light air. As with all cascade systems the lengths are critical to ensure correct ravel on the system. We mocked the system up in mousing line first to check we could achieve the travel required. Our GP Braid is a market leading product. It features high tenacity polyester cover with our GP12 core. The really special thing about GP12 is that its made using black fibres instead of coated fibres, this means will never fade. We have been testing this product for over 2 years and we promise it really works!! The product is ideal for tapered splices (core exposed), we are now producing most of our tapered mainsheets and spinnaker sheets using this rope. The supplied furling line was too long and required shortening. We re-spliced the existing rope and installed a Harken T2 Loop block. This block is attached to a length of bungee and a snap shackle to keep the furling line tight during high speed furls. A simple solution but very important. All the stanchions have been neatly powder coating in matt black, this makes the boat look super smart! However its important to protect the finish. We produced these small 12 strand loops to click the tylaska snap shackles to.